l Friction between driving wheels and ring is adjustable. l Speed of the ring is adjustable by inverter. l Soft start and start. l Packing material tension could be adjusted. l Widely packing material adopted by material frame. l Protect guardrail for safety operation. 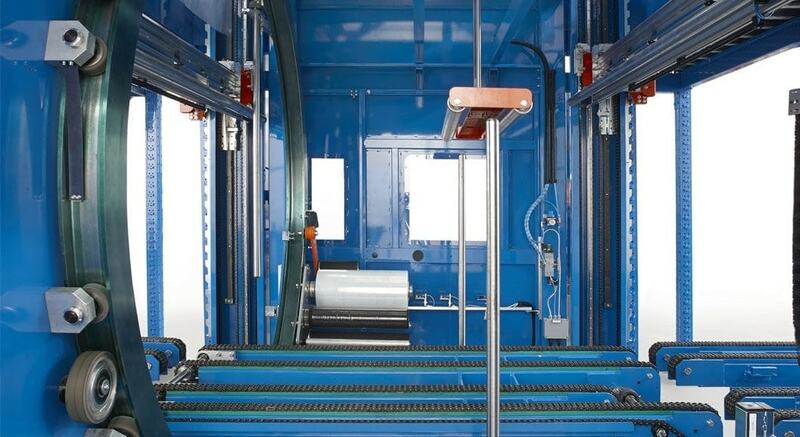 l Automatic entrance conveyor system and outlet conveyor system. l Conveyors drive by motor with gear box. 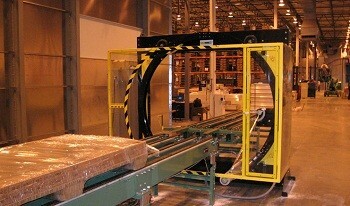 l Speed of the conveyors is adjustable by inverter. l Sensor detecting the objects for operation action. 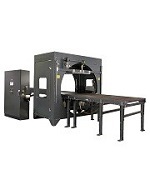 l Automatic protective devices are able to avoid products shaking in wrapping. l Pressing down device and supportive rollers for fix the packaging position. l The action time is adjustable for difference packing purpose. l Two sets of press down device. 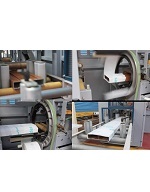 l PLC and program makes machine able to do automatic wrapping according your packing goal. l Photocell sensor is adopted for setting packing position. l Separate control panel makes operation & maintenance easily. 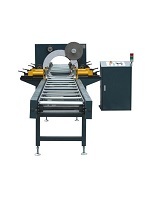 l Automatic material feeding and cutting device. l Sensor and PLC program. l This device makes machine automatically and unmanned operation. 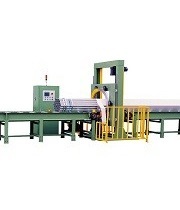 This type of spiral wrapping machine is usually applied to stretch wrapping loads and products together on a pallet or covering a packaging material for transportation or storage purposes. 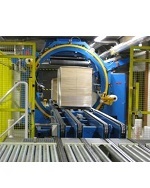 Spiral orbital wrapping machine can adopted to a variety of packaging films. Some examples: UV stretch wrapping, vented roll wrap, anti-static stretch film, paper, bubble, pre-stretched PE film, etc.If stretch wrapping has been properly applied to your load,the package will well protective and avoid chafing or damage during transportation or whilst being stored. 2. Reduce Material and Save Packing Costs. 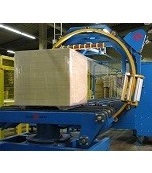 Orbital stretch wrapping is using stretchable plastic film that is for load packaging by wrapped. 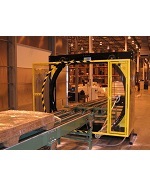 The around a load of products allowing it to be stretched; It is able to pack load tightly and well protect.